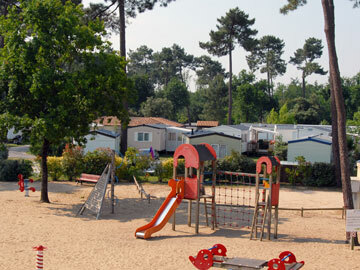 La Pignade is our jewel in the crown, beautiful location, gorgeous surroundings and an abundance of activities both on and near the parc. 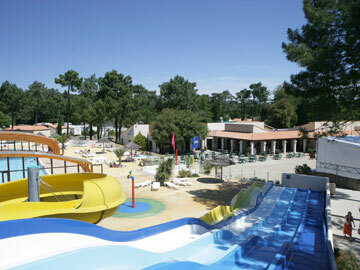 La Pignade has all the attractions of our larger parcs but on a cosier scale! 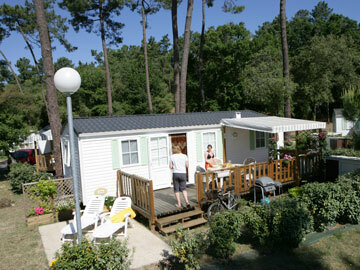 La Pignade has all the attractions of our larger parcs but on a cosier scale! There's the same hint of thrills and action, equal opportunity for languishing in the sun, all topped off with a heaped helping of nature that gives this parc a special feel. 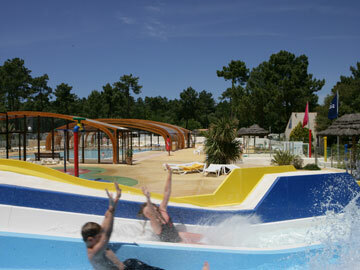 Outside May - Sept, the waterslides and the paddling pool will be open depending on the weather. The waterslides are authorised for children higher then 1 meter. 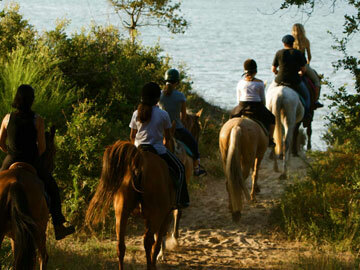 Open everyday in April, July and August (weekends only in May and June or on reservation). Every Sunday throughout the months of July and August, the Surf School from the � C�te Sauvage � will be performing surfing skills in the children's paddling pool. You can also reserve a surfing or body board lesson at reception. The surf school will collect all participants by bus at La Pignade (transport is free). Minimum age : 7 years. 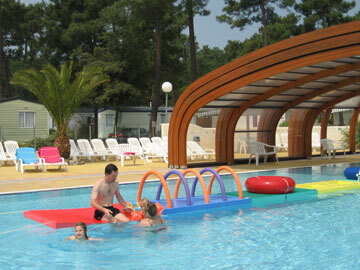 Royan is a good-time resort with lovely beaches and a lively atmosphere. 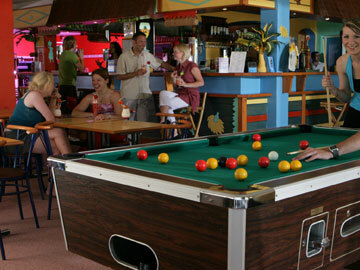 It has two casinos, a big marina, five beaches and numerous restaurants. Worth a visit is the �Parc des Jardins du Monde' where your children can �ooh and ah' over bonsais, orchids and all manner of unusual plants. But the thing I love most about Royan is the blue and white striped tents on the beaches, which make you feel as if you've stepped back in time - though thankfully without the embarrassment of having to wear the knee-length swimming costumes. 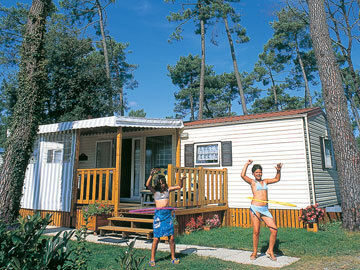 La Rochelle is as pretty as its name and well-equipped for keeping the whole family entertained. There are great shops, lots of restaurants, beaches and a huge aquarium. The tanks in the aquarium have transparent tunnels running through them, so you can see the sealife swimming around you. Wow! There is also a natural history museum, full of an interesting mix of stuffed animals, shells and African masks. A good place to while away a few hours if the sun goes in. Buildings in Saintes are old and lovely. The amphitheatre here dates from around the 1st century and is big, nearly as big as the Coliseum in Rome. It's the ideal place for your children to re-enact their favourite scenes from �Gladiator', and they're probably a lot cuter than Russell Crowe. 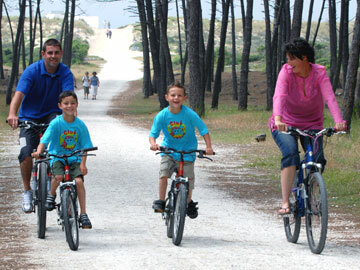 Cycle and hiking routes rule supreme on the Ile de Re. There is a fantastic view from the top of the 150 year old lighthouse, Phare des Baleines - which means �Lighthouse of the Whales'. Though I'm sure not many whales would be able to manoeuvre themselves up the 250 steps to the top. Back on the ground you could also visit the lovely old harbours and ��nes en culottes�, which translates - honestly - as �donkeys in trousers'. Go. See for yourself. If the idea of studying at Hogwarts with Harry Potter appeals to your children, Marennes could help them indulge this fantasy. It has an 18th century castle, Ch�teau de la Gataudiere (which was apparently built by the man who introduced rubber to France), but sadly no magical creatures! Have you been to La-Pignade? Please submit your review so that others can benefit from your experience. 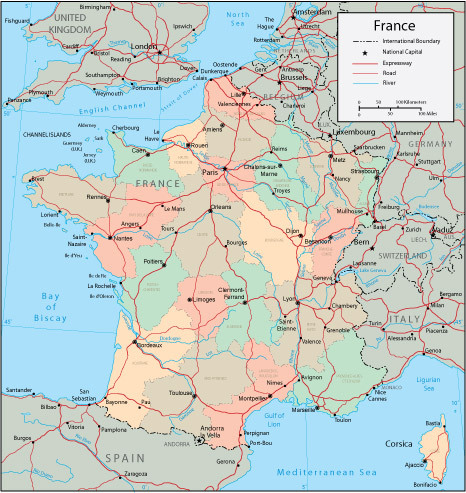 Important note: Information provided here about La Pignade is based on our best knowledge. 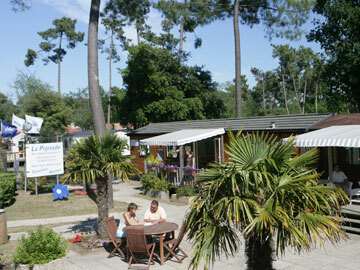 However, please check with La Pignade before booking to ensure that you have the information required. Reviews are the sole views of the contributor and do not necessarily represent the views of this site, 4theUK Ltd or La Pignade.